Riviera. The word evokes images of the Mediterranean coastline, aristocrats and celebrities swanning about, and luxurious resorts with writers and artists propped up at their bars. 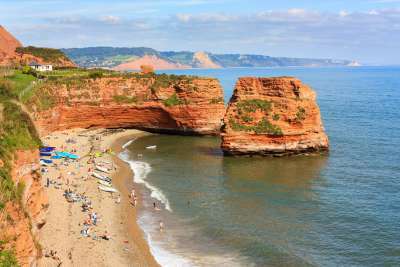 ‘Riviera’ is actually the Italian word for ‘coastline’, and while the most famous rivieras are those in France and Italy, there are several more dotted around the world, from Mexico to… Devon. We know, we are as shocked as you! Here are a few of our favourites, from across the Atlantic to right on our doorstep. 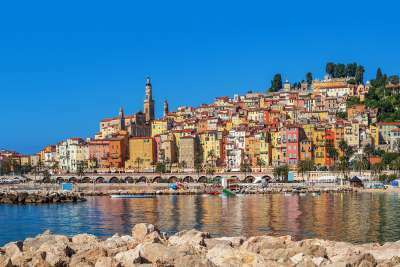 Visitors first started flocking to the French Riviera in the 18th century, when its mild winters were seen as a cure for every ailment, from the flu to tuberculosis. Thankfully you won’t find too many visitors on death’s door anymore, but what you will find are sun-drenched beaches with the deep blue Mediterranean lapping their shores. This area inspired countless writers and painters, and encompasses iconic destinations like Nice, Grasse and Monaco. Set yourself up at a bar in Cannes for an afternoon of celeb-spotting, or head out from the Saint Tropez harbour on a yacht and unleash your inner Beyoncé. Let’s pop on over now to the Dalmatian Riviera, where the dramatic southern Croatian coastline collides with the Adriatic Sea. With the bustling and beautiful Split at its heart, it’s a spectacular combination of pebbled beaches protected by mountains on one side, and the islands sprinkled in the Adriatic on the other. Make the most of the coastline on a Croatian island-hopping adventure, or spend your days walking the streets of quaint towns in the sunshine. If you thought rivieras were confined to the Old World of Europe, it’s time to think again! 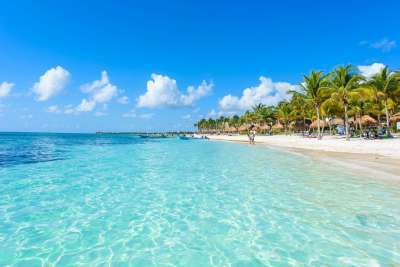 The self-styled Riviera Maya on Mexico’s Yucatan Peninsula gives its European counterparts a run for their money, with its white-sand beaches and some of the best diving in the world. Stretching to encompass tourist faves like Tulum, Cancun and Playa del Carmen, this sparkling slice of Mexico proves you can have partying, natural beauty and historical remains all rolled into one! It’s also all inclusive resort heaven and the water temperature never falls far below 25°C – what are you waiting for? Back to Italy, the home of the word ‘riviera’, and one of the most beautiful lengths of coastline in the country – if not Europe. The Neapolitan Riviera weaves along the Campania coast, and lays claim to some of Italy’s most-loved towns. 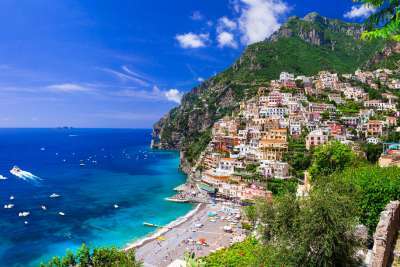 From the sandy-toned clifftop town of Sorrento it wends its way down the Amalfi Coast, where iconic Positano tumbles down rock faces to the water and Amalfi town charms with its whitewashed buildings. Don’t forget to visit Naples, the birthplace of pizza, and hit up Capri island to bask in the same glamour that lured luminaries like Brigitte Bardot and Jackie Onassis in the ’60s. Are you in Monaco? Or is it maybe the Algarve? Perhaps it’s Cannes? Nope, you’re in Devon! That’s right, you don’t have to venture very far from home at all to find a riviera – and one with sandy beaches and exotic palm trees at that! The pastel buildings cascading towards the water might trick you into thinking you’re on Mediterranean shores, but look a little closer and you’ll find you’re actually in Torbay, Torquay, Paignton or Brixham. This part of our fair isle is also known as the Seafood Coast, so you know you’ll be treated to some tasty fare from the ocean, whether it’s at a Michelin-starred restaurant or a local pub. If you threw Cali-cool into a blender with Med glamour, the product would be the American Riviera. 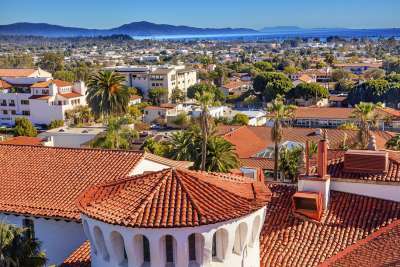 More commonly known as Santa Barbara, this Californian coastal city is all wide sandy beaches, high-class restaurants and palm trees poking out from between whitewashed buildings. Like the European rivieras of old, the American Riviera absolutely oozes money – self-help queen Oprah resides here - but despite the area’s wealth it’s still got an air of the laidback to it. Plus, it’s just a 45-minute drive to wine country. You might know the Turkish Riviera as the Turquoise Coast – but we reckon calling it a riviera gives it a little more zing! 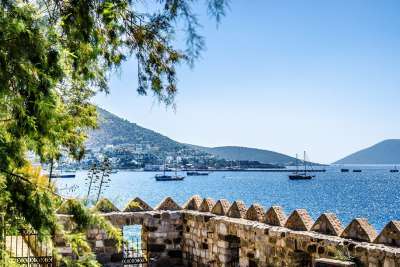 This slice of coast takes in some of Turkey’s most popular resorts, including Antalya, Bodrum, Kas and Marmaris – there’s a good chance you’ve already been! All inclusive resorts are a big deal here, making it a great mid-haul destination for family holidays. But if all you’re looking for is a sandy beach where you can look out at deep blue water (and maybe a few Roman ruins) the Turkish Riviera has got you covered. It’s a bit more recently developed than the other rivieras on this list, but that doesn’t mean the Romanian Riviera doesn’t have a charm of its own. Set on the Black Sea, the Romanian Riviera is a top pick if you’re looking to save a bit of money on a beach holiday (and still be able to tell your friends you’re off to ‘the riviera’). 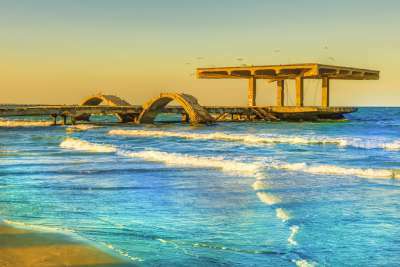 Mamaia is the region’s most popular resort, thanks to its excellent tourist infrastructure, but there are plenty of smaller resorts like Eforie Nord and Cap Aurora for you to dig your feet into. 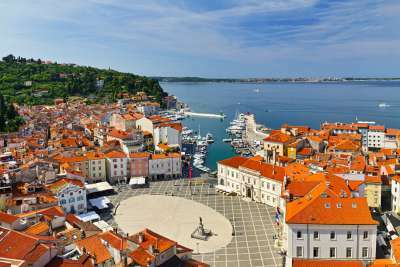 Wedged between Italy and Croatia, the Slovenian Riviera combines all the best bits of both into one stunning slice of coastline. In the terracotta-roofed town of Piran, with its sprawling squares, you could be fooled into thinking you were in Croatia, while in Izola you might swear you’re on the Amalfi coast, with its pastel buildings and pebbled beaches. In fact, if you can’t bear the crowds of Venice, a trip to the Slovenian Riviera offers up a similar history, climate, culture and aesthetic, for a fraction of the price! Oh, and the beaches framed by dramatic cliffs are pretty swell, too! 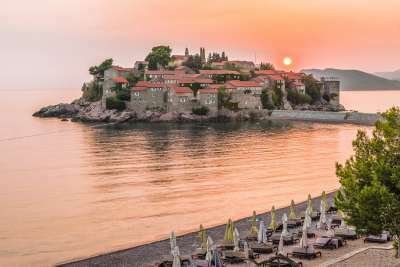 Hot tip: holidays to Montenegro are on the rise – we’ve heard whispers it’s the new Croatia! Beat the crowds and visit the Budva Riviera first, where you’ll be treated to eight miles of both sand and pebble beaches. The heart of this riviera is Budva, a tiny town on a point jutting into the Adriatic Sea. The medieval Old Town is chock-full of ancient religious sites like churches, and charming ancient buildings and streets. Head out of town for practically deserted beaches (until this riviera catches on with other tourists! ), or visit Sveti Nikola Island, one kilometre from Budva, which boasts three sandy beaches, and a whole load of pebbled ones!